He had already created the A3660 Amiga 4000 replacement CPU module (see http://wordpress.hertell.nu/?p=537 and http://eab.abime.net/showthread.php?t=89200 if you want to know more), and asked the community for his next reverse-engineering project, which turned out to be the Amiga 1200 mainboard. 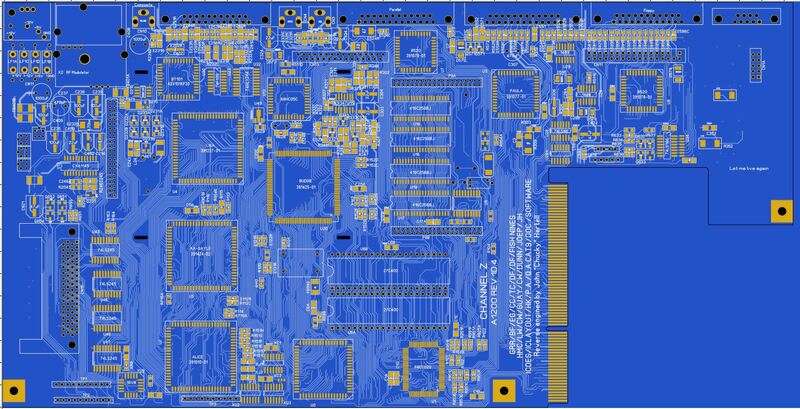 Well, about two months later, and with the help of other members of the Amiga community, Mr. Hertell had a clone of the original 1D4 version mainboard in Gerber file format! stay tuned for part 2 with more amazing Amiga hardware news!